The HIGH SAFETY system ensures the highest level of safety during driving and guarantees effective and comfortable braking in all conditions. The maximum safety level was achieved through the development of new-generation ceramic friction materials featuring high friction coefficient stability. Breck brake pads with the HIGH SAFETY system have many advantages, such as improved friction parameters, lack of vibration, limited dust generation, silent operation, long life and efficient vehicle retardation. Breck HIGH SAFETY ceramic brake pads boast excellent performance. In order to meet the highest standards we put these pads through stringent testing on a dynamometer. Results proved to be surprising. Friction material wear of Breck HIGH SAFETY pads during motorway driving turned out to be 49% lower than that of the OE material, while during city driving the difference reached a staggering 62%! In tests under real life conditions Breck HIGH SAFETY pads achieved braking performance superior to pads of another reputed manufacturer. Breck excelled particularly at high speeds, when accurate braking matters the most. The HIGH SAFETY system is your guarantee that Breck pads are made of the best components. Extensive testing resulted in a material featuring the appropriate thermal conductivity, boosting braking comfort. During tests on the Grossglockner mountain, which we perform on a regular basis for each of our products, the LU 551 ceramic material achieved a result superior to an OE material during a quick downhill drive with aggressive braking. 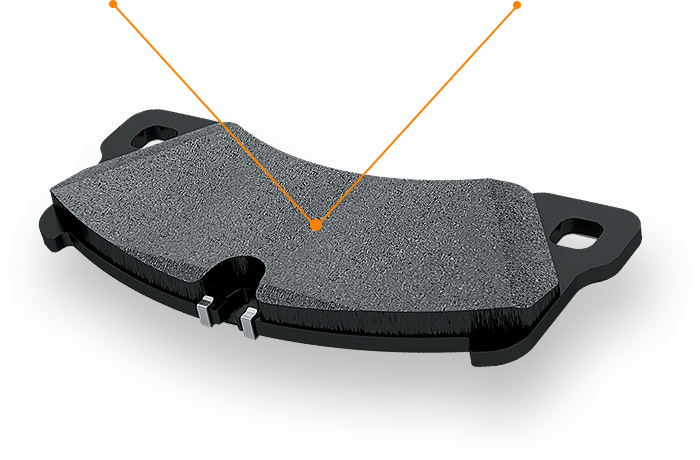 Lower brake pad wear not only extends a pad’s life, but also ensures lower dust emissions. BRECK brake pads do not contain copper, so they meet the requirements of the Better Brakes Rule***. In this way the HIGH SAFETY system provides the highest level of safety both to the user and the environment.